We make natural diapers and wipes. Your baby deserves the best. Why try Happy Little Camper? Made with love. We only use pure, clean and non-toxic ingredients. Hypoallergenic, made with premium non-GMO cotton and 0% chlorine bleaching. Available in sizes 1 - 5. Cancel anytime, free shipping, no contract or fees, adjust products and frequency online as often as you'd like! Made with premium non-GMO cotton, dermatologically tested and proven hypoallergenic. Best natural diapers with ultimate comfort and reliable protection for happy babies. Protect your baby’s delicate skin with gentle and all-natural ingredients. Be worry-free with the ultra-absorbent natural wood pulp bio-core blend to soak up more liquid than other conventional and organic brands. Our breathable materials wick away moisture to keep your baby’s diaper area free from skin irritations and don't leak. Simple Returns. Up to 60 days from purchase date. To initiate a return, please call us at 1-800-927-8260 or email us at returns@happylittlecamperbaby.com. FREE 5-Day Standard Shipping from anywhere in the U.S. and Canada. Your products will ship approx. 3 - 4 days after you order and shipping can take anywhere between 5 - 7 business days. Diapers made with premium non-GMO cotton, dermatologically tested and proven hypoallergenic. 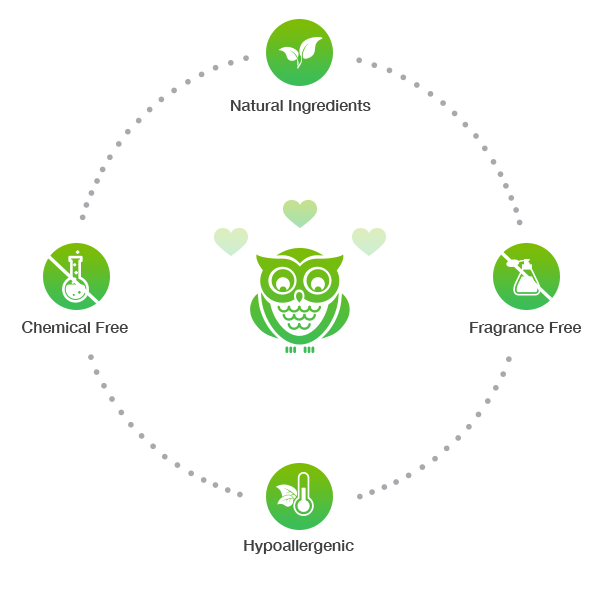 Our wipes contain only gentle, pure and clean ingredients. Unscented and pure baby wipes for sensitive skin. ultra-soft and thick for an easy clean. Pure, clean and ultra-soft sewer and septic-safe flushable wipes. Gentle and healthy flushable baby wipes for sensitive skin. Biodegradable wipes with packaging that uses recycled material. Good for everyday use by the whole family for diapering, quick and easy mess clean up, freshen up for travel, on your face as a make up remover or even on pets. Compact packaging for convenient on-the-go storage in diaper bags, purses, strollers and car. Natural cotton ultra-soft and thick baby wipes for an easy, one-wipe clean. Protect your baby’s delicate skin with pure, clean and ultra-soft baby wipes. Biodegradable wipes with packaging that uses recycled material. Good for everyday use by the whole family for diapering, quick and easy mess clean up, freshen up for travel, on your face, as a make-up remover or even on pets. Compact packaging for convenient on-the-go storage in diaper bags, purses, strollers and car. Gentle and healthy baby wipes for sensitive skin.